As you are probably are aware by now, I adore Healdsburg. What’s not to love?! 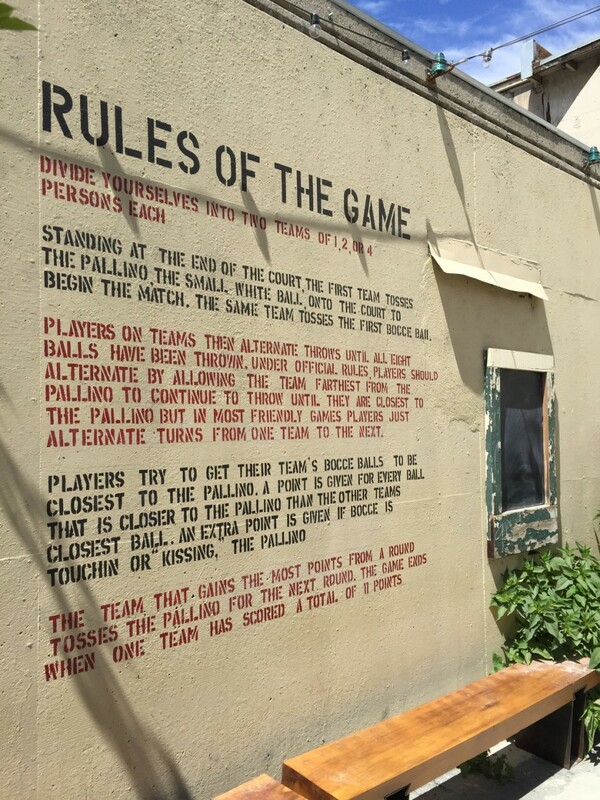 This is a charming town about an hour and a half north of San Francisco combining many of my favorite things. 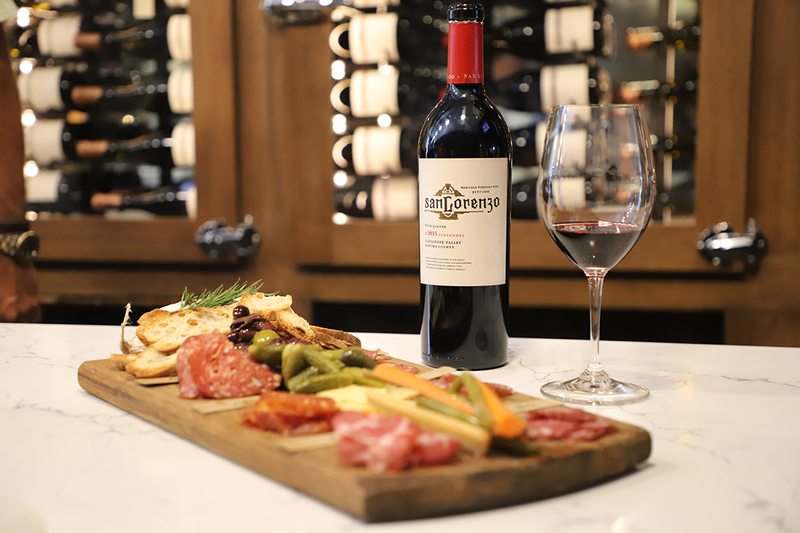 Incredible dining, luxury hotels with fabulous guest accommodations, charming shops and local destinations, and, of course, Wine Country. 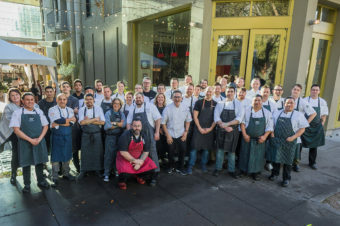 I’ve been putting together my Top 10 Healdsburg Restaurant list for a while and with the newly SingleThread Farm Restaurant & Inn opening this list feels truly complete. 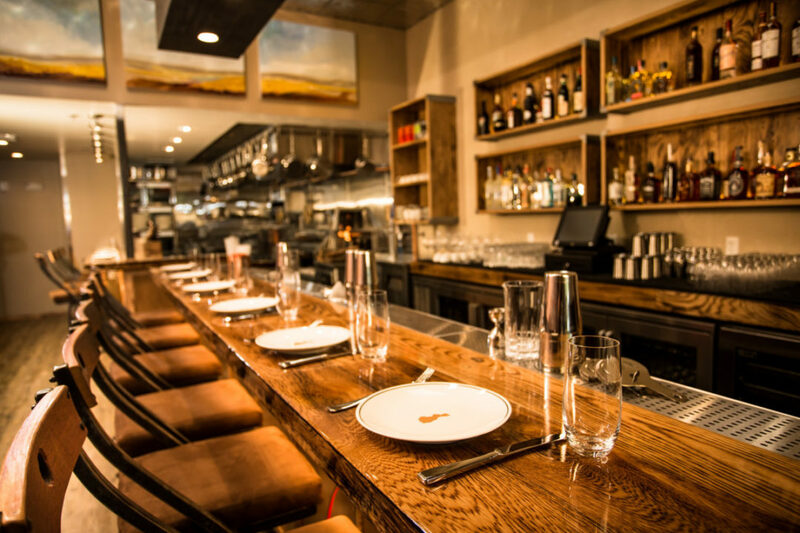 Read more about the Top 10 Best Restaurant’s in Healdsburg and be sure to visit and check them out. 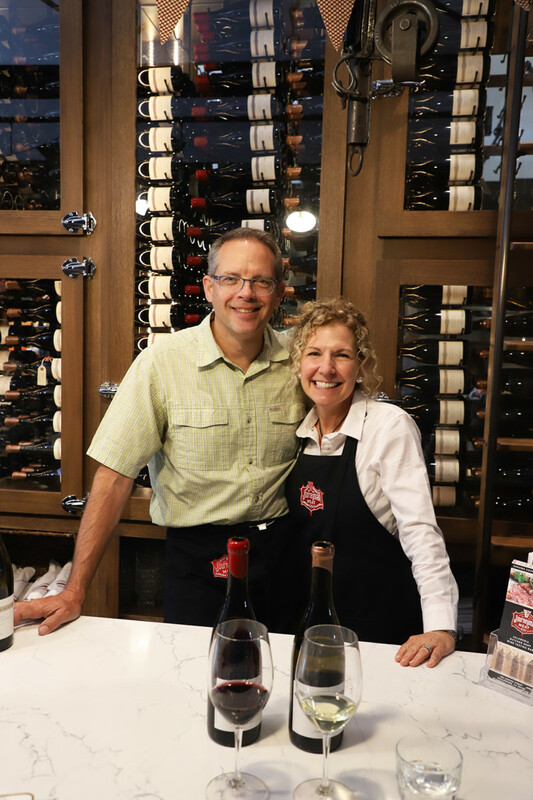 If you have any questions, as always email me, I’m happy to share more information and give any other tips for a visit to Healdsburg. 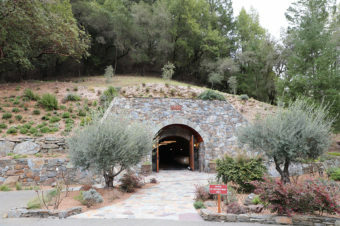 Check out my Top 10 Sonoma Wineries here if you’re looking for some Winery destinations while visiting Healdsburg. 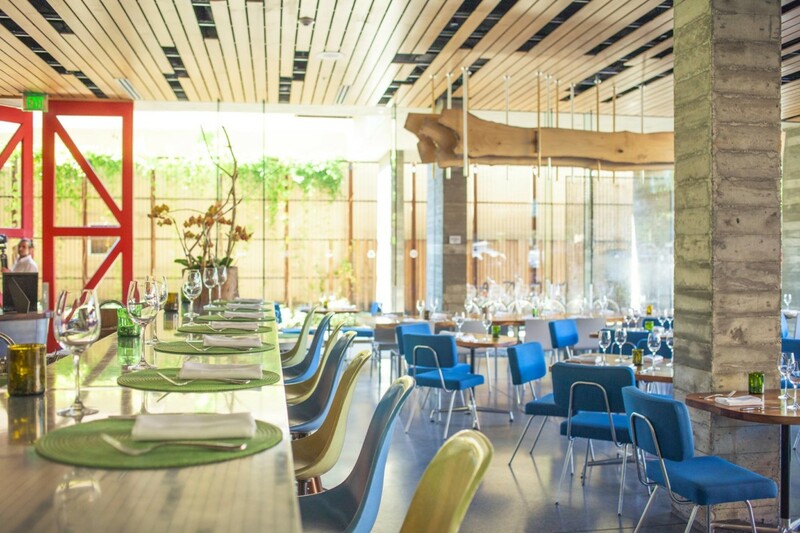 As one of the most anticipated openings of 2016, SingleThread Farm Restaurant & Inn is truly like nothing you can imagine and they just received their Third Michelin Star. 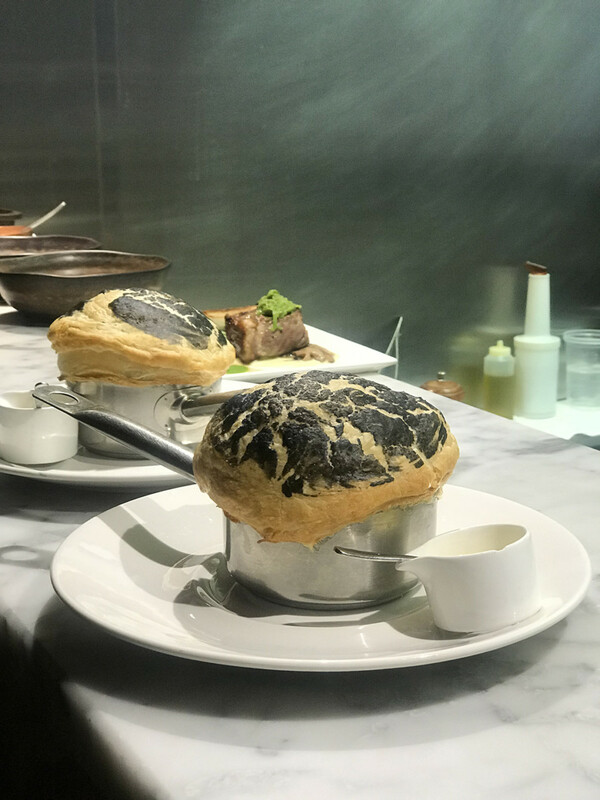 Having recently visited for dinner and a day time tour of the Restaurant, the Inn, and their spectacular roof top, I was blown away. 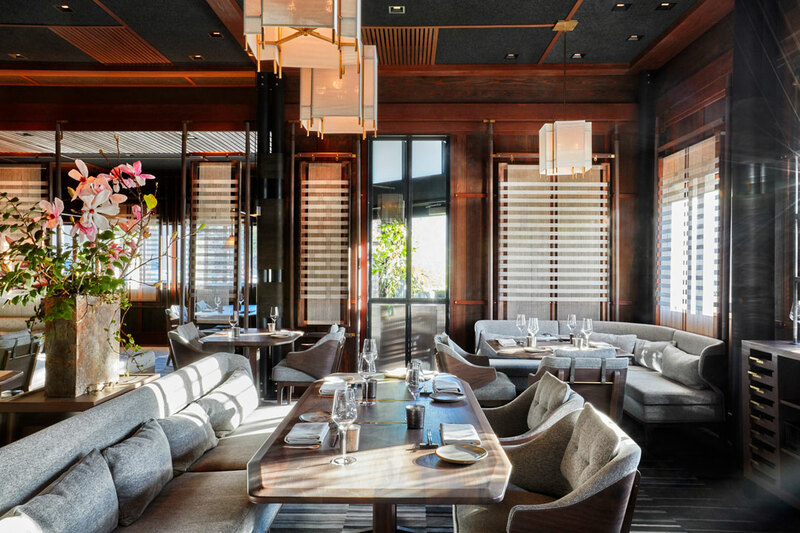 It’s hard to put into words until you experience it yourself, but I would best describe it as a culinary destination combining the best food, wine, service, and guest experience in one of the most beautiful, well thought out spaces in California. 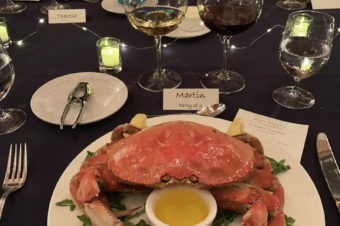 I will be writing a full blog post about the amazing 11-course meal I experienced, the background, and story of owners Kyle and Katina Connaughton, as well as more on why you must visit. 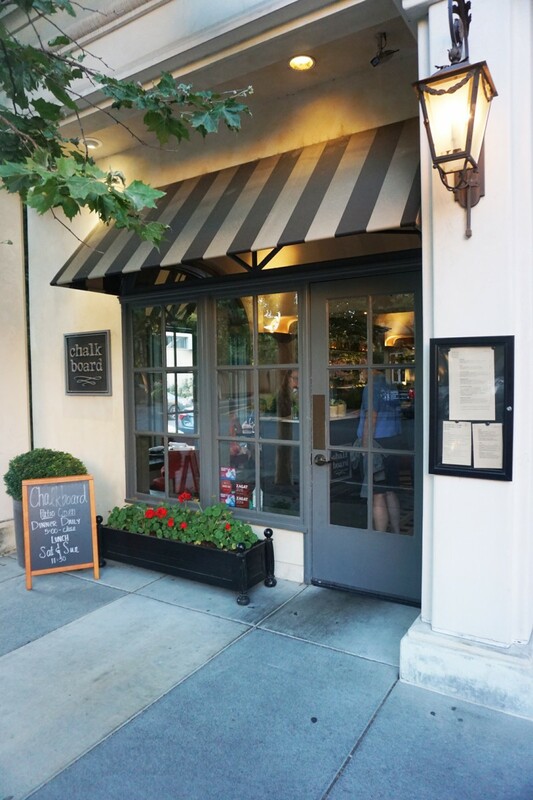 Stay tuned for that post very soon…131 North St, Healdsburg, CA 95448. 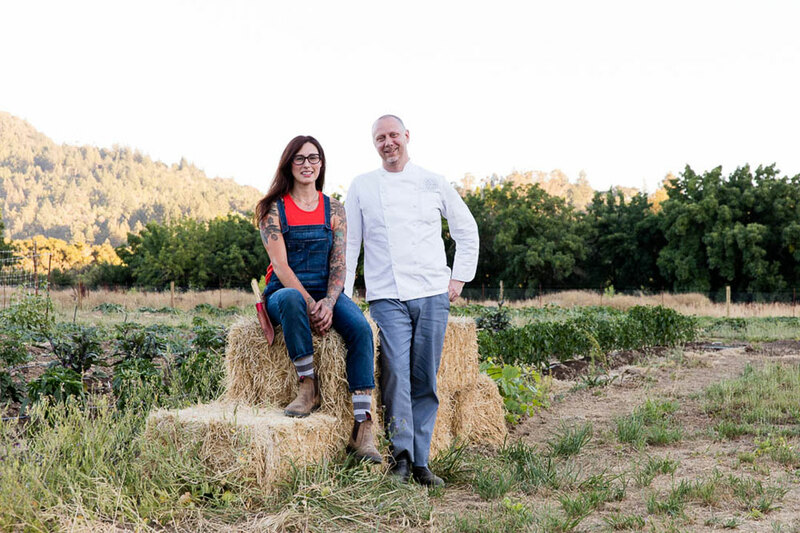 The fabulous couple behind SingleThread Farm Restaurant Inn – Katina and Kyle Connaughton. I’ve met them both and they’re so humble, friendly, down to earth, and clearly so talented and passionate about what they do. They have found their calling! 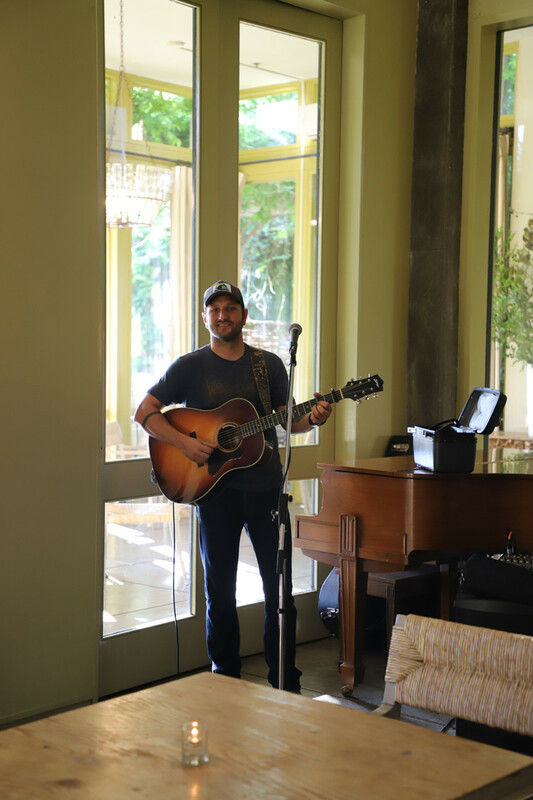 The Hotel Healdsburg offers a fabulous happy hour daily from 4:00 – 7:00pm which I recently enjoyed and fell in love with. 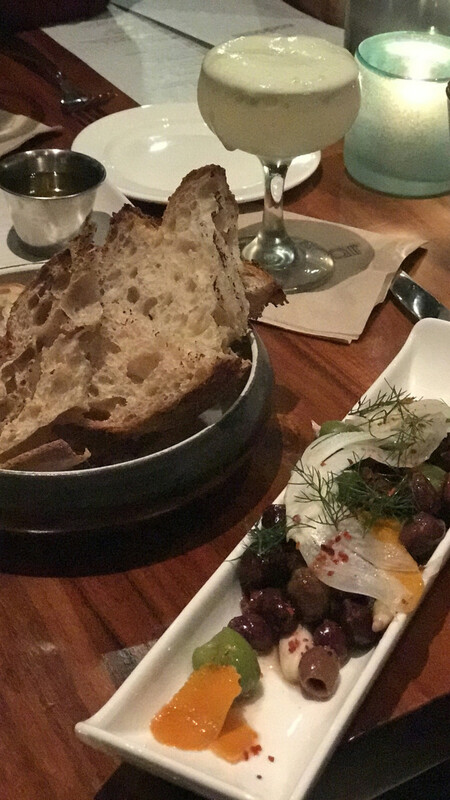 The food is from the Dry Creek Kitchen team and they offer great cocktails, wine & beer at happy hour prices plus amazing food. When I was there, we enjoyed live music as well! 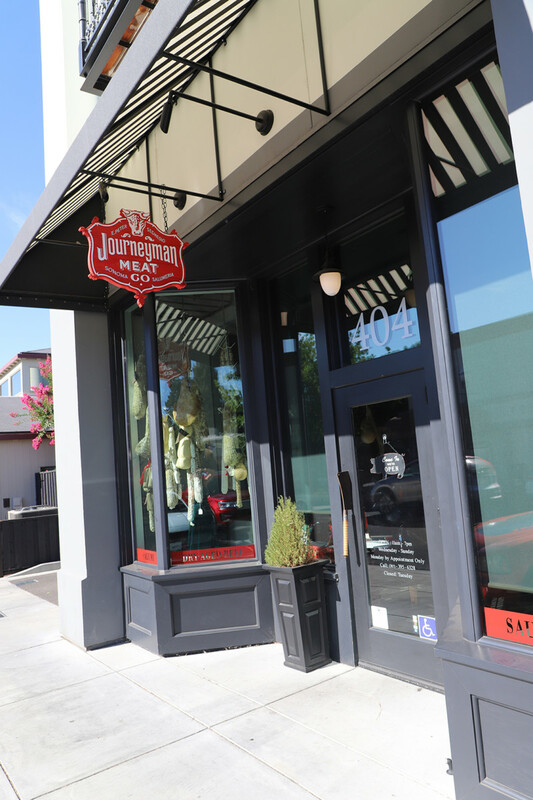 Be sure to check this out when you’re visiting Healdsburg. 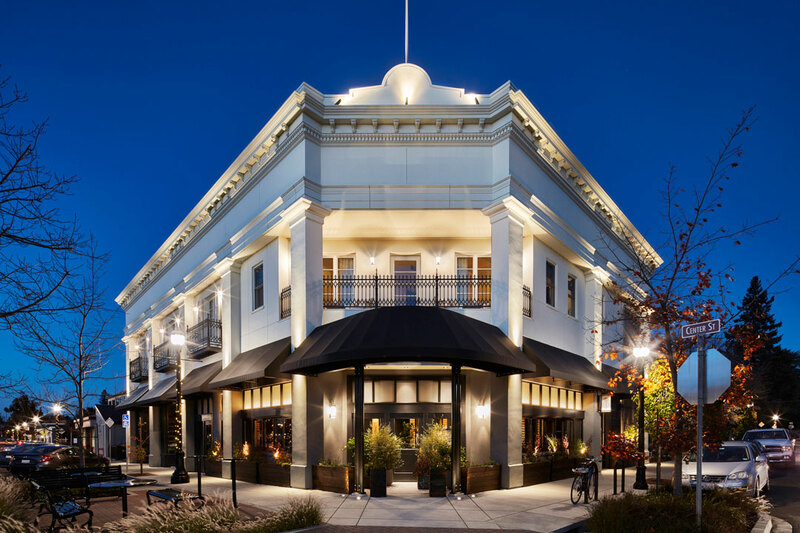 Hotel Healdsburg, 25 Matheson St. Healdsburg, CA. 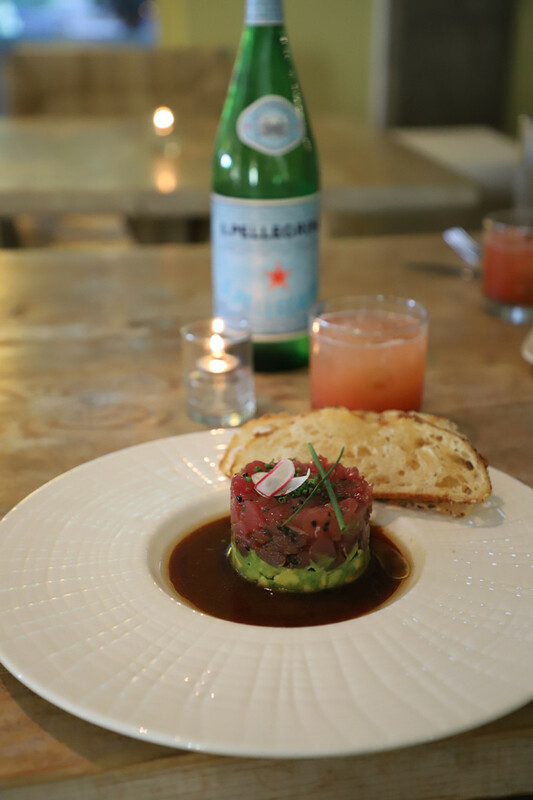 The delicious tartare on the happy hour menu. Also be sure to order the Charlie Palmer Burger, another favorite of mine! 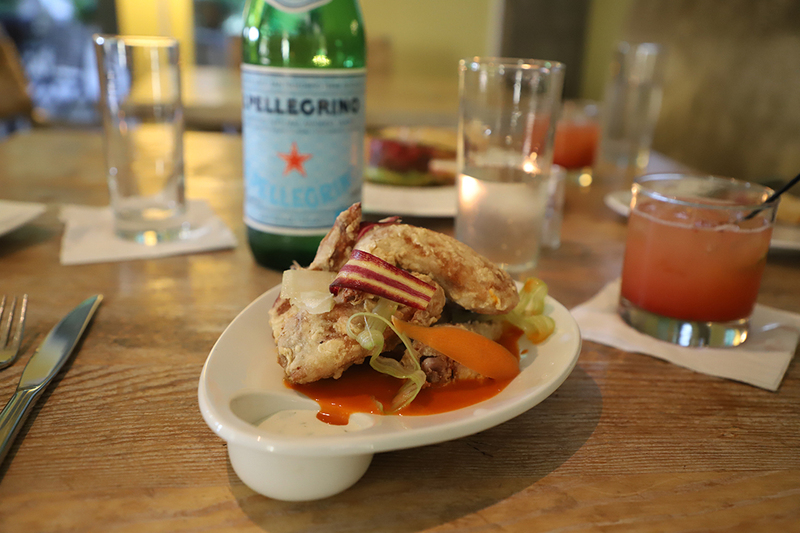 The fried chicken we enjoyed during our happy hour visit! I love a restaurant welcome that includes sparkling wine from Iron Horse. 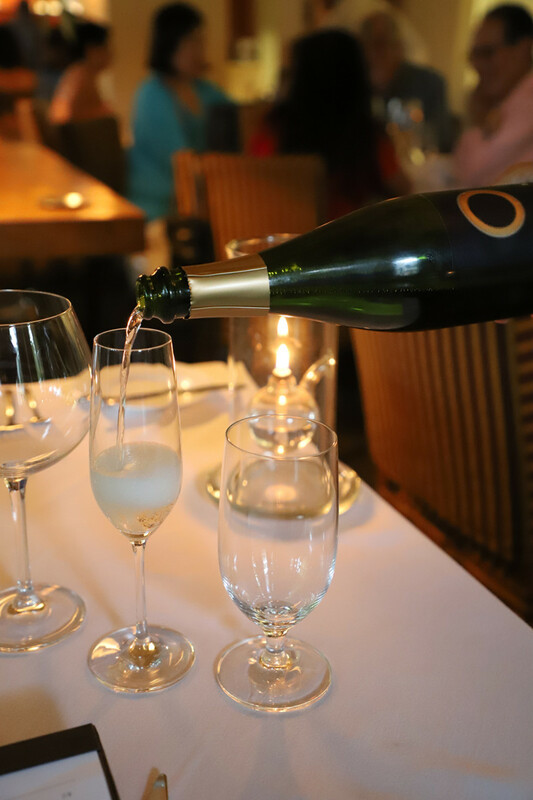 Dry Creek Kitchen has their own Iron Horse Cuvee which was beautiful! 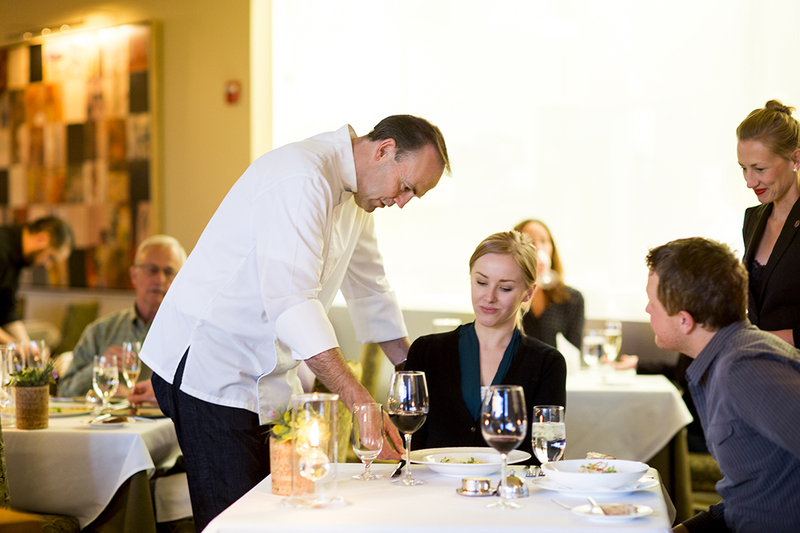 Chef Charlie Palmer visiting with guests at Dry Creek Kitchen. 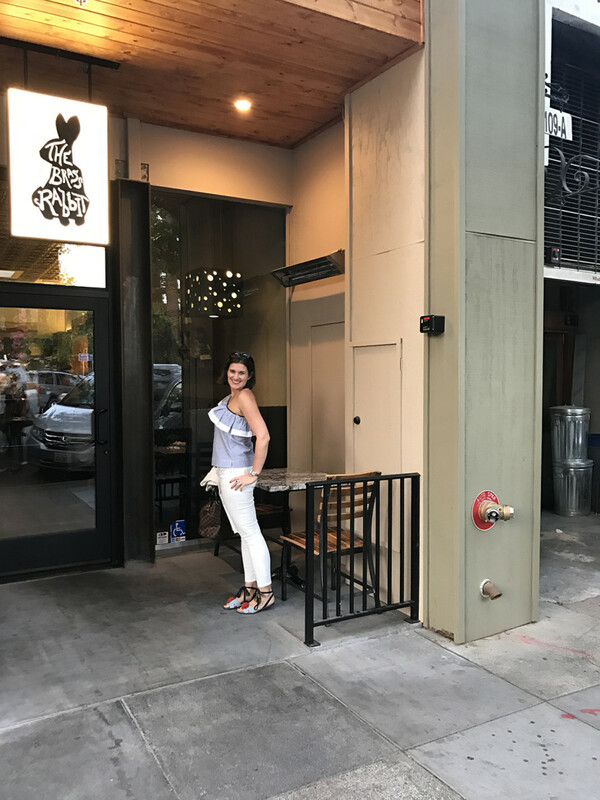 One of the newest openings in Healdsburg that you must try is The Brass Rabbit. 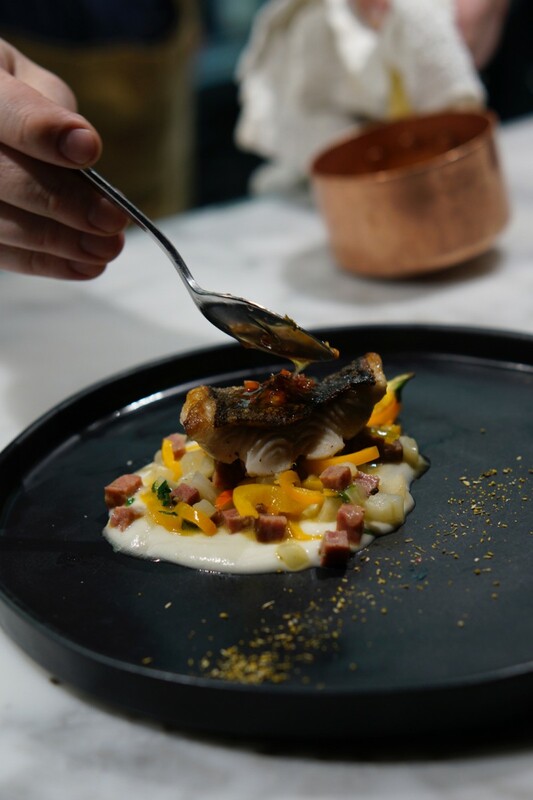 This incredible culinary gem is led by Chef Shane McAnelly, who is also the Chef of Chalkboard Restaurant (also on this top 10 list below). The Brass Rabbit offers an intimate setting with a chef’s counter taking in the wonderful open kitchen views as well as a lively bar counter great for a cocktail or dining as well. During my visit we sat at a table in the back with fabulous views of the kitchen. The food here is incredible, and as the name suggest it’s on the heavier, meatier side and I loved it all. 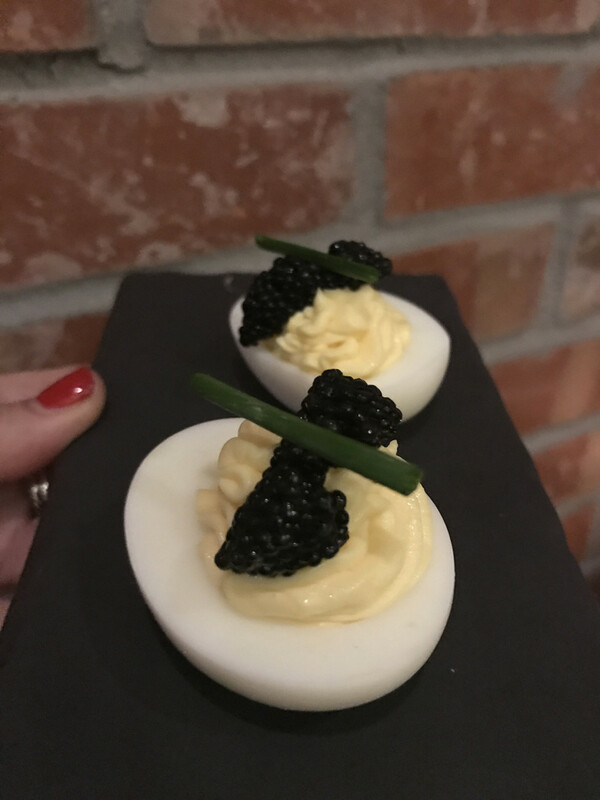 We started with deviled eggs, mini lobster rolls (my favorite), a martini with foie gras stuffed olives, an incredible fresh salad and shared a Pork Chop as our entree. 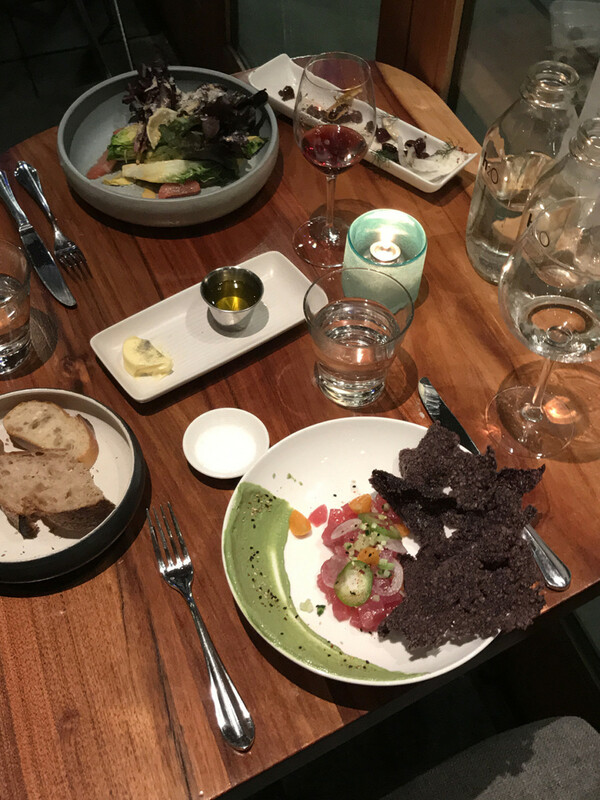 I hope you get a chance to visit this incredible Healdsburg new spot which I predict will be sticking around a very long time. 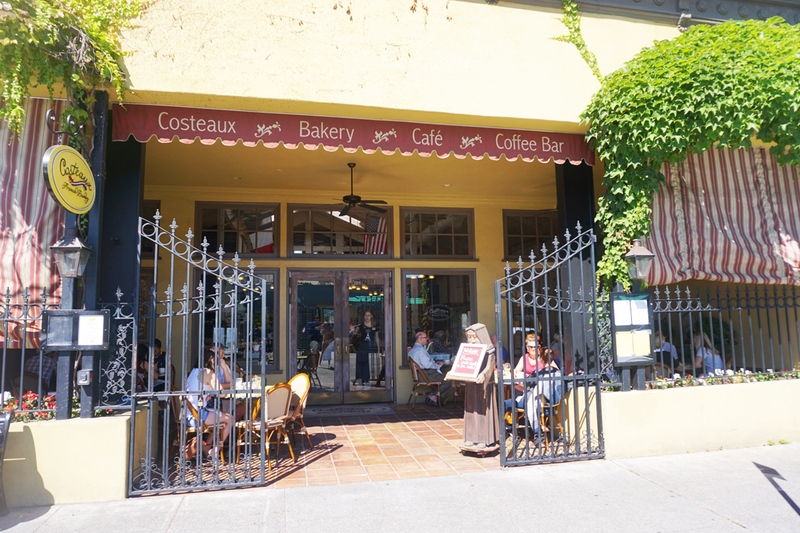 109 Plaza Street, Healdsburg, CA 95448. 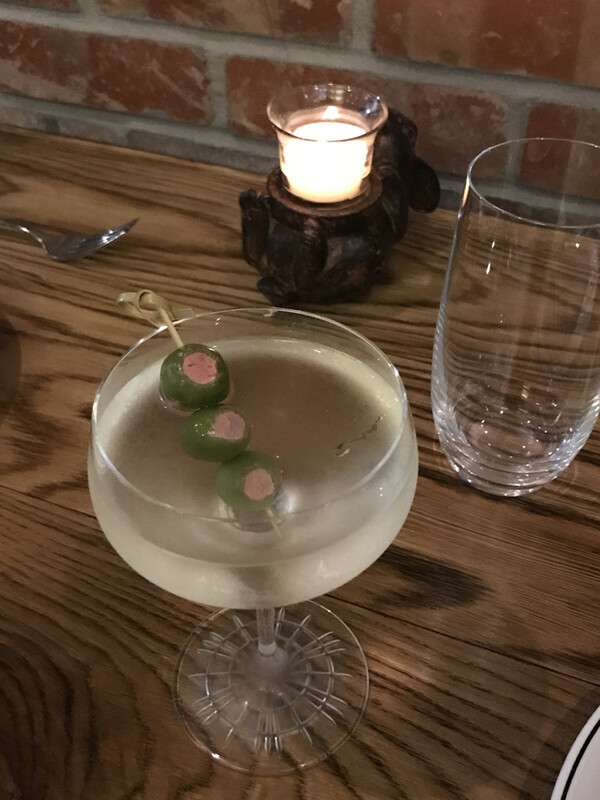 Starting out the evening with a martini with foie gras olives. Wow that is how a martini should be done always! 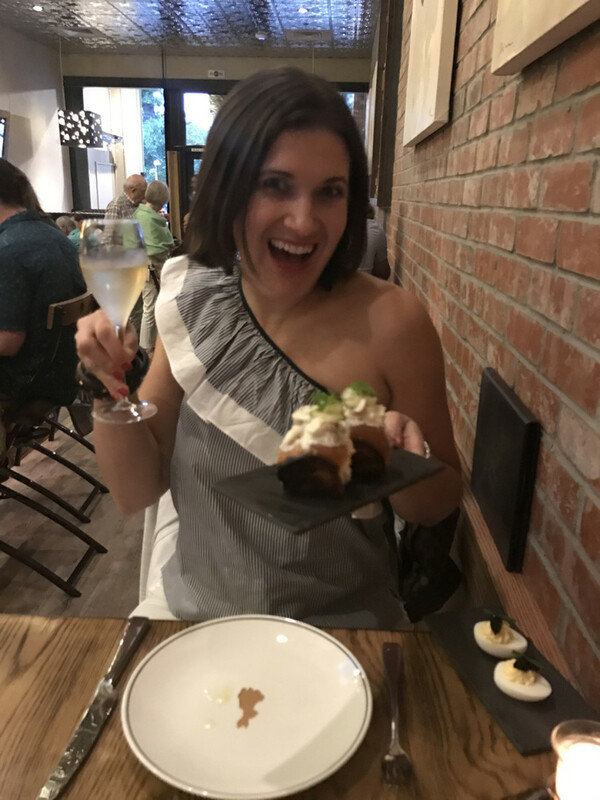 I am such a happy girl, bubbles, a lobster roll and deviled eggs to begin this amazing meal. 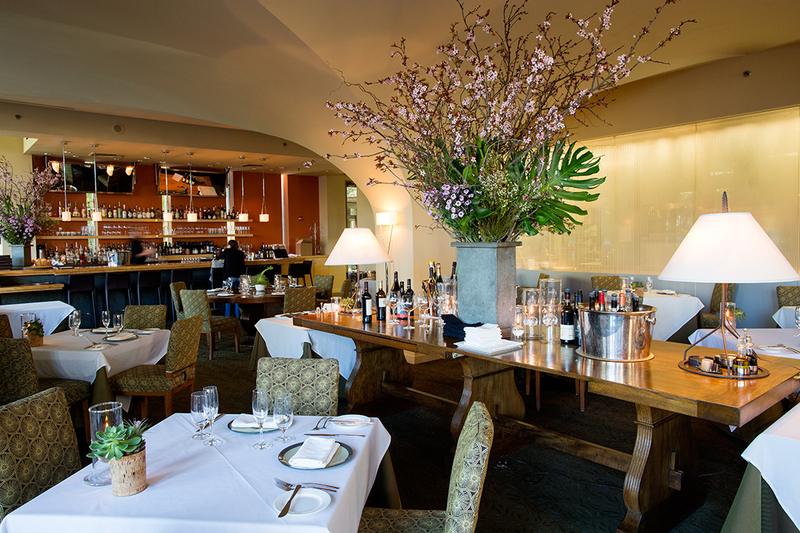 Valette Healdsburg is easily one of the best fine dining restaurants in Healdsburg. 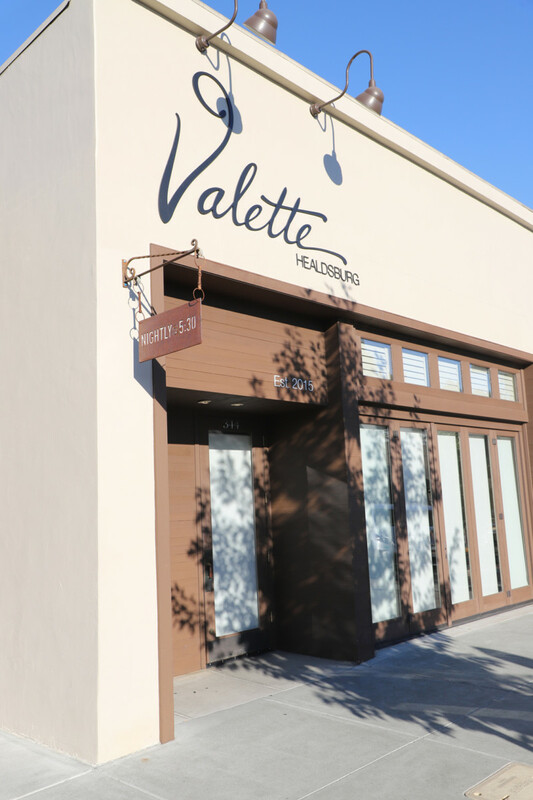 Valette combines an elegant, yet neighborhood-like vibe that’s not stuffy, while offering delicious, spectacular food and incredible service. 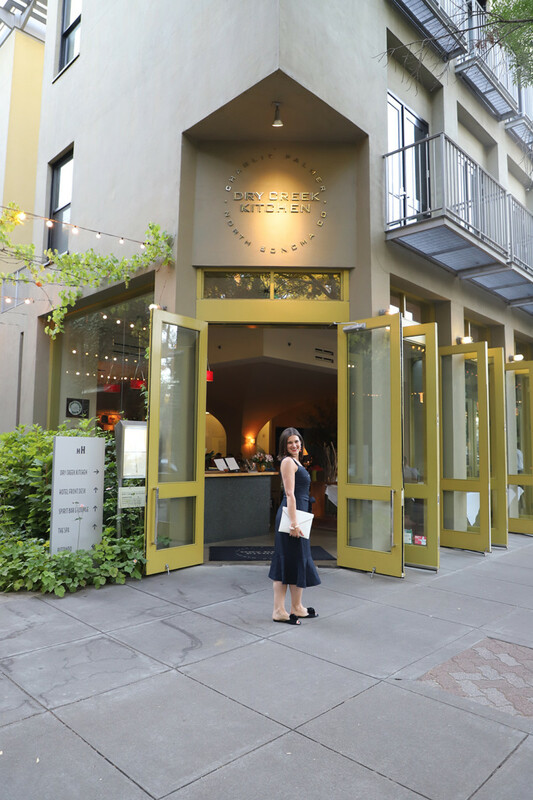 Read more about my lovely dining experience at Valette Healdsburg here and see more about the 5-course Tasting menu and wine pairing. 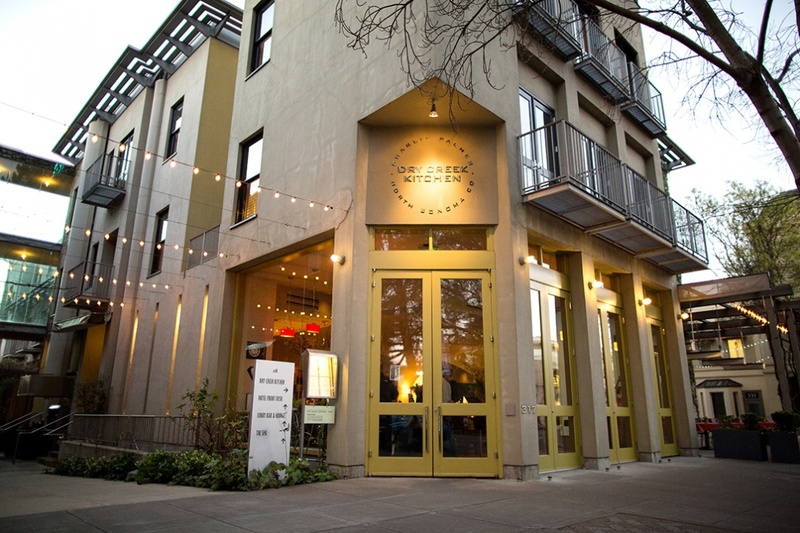 344 Center St, Healdsburg, CA 95448. 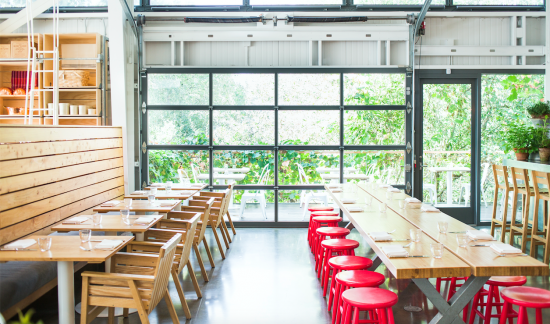 SpoonBar is another incredible Healdsburg gem, which is led by husband and wife Chef team Casey and Patrick Voorhis. The food is exquisite. 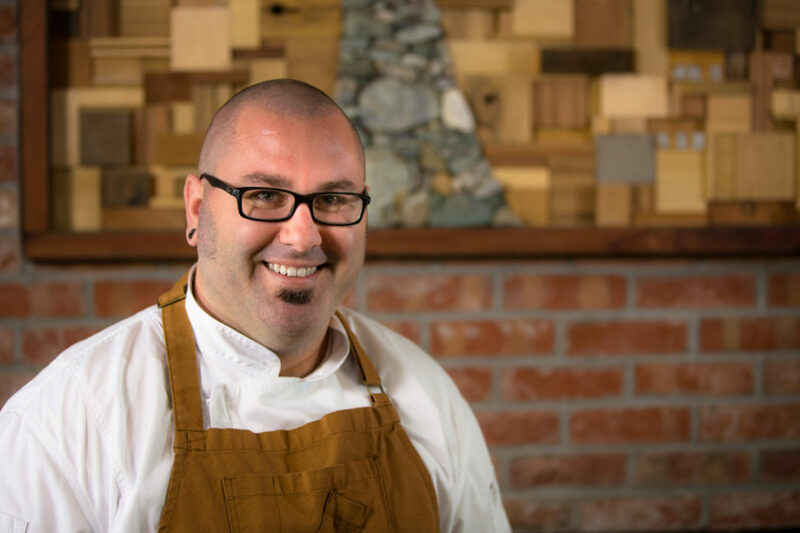 Chef Patrick has prior experience from Acquerello Restaurant before his Sous Chef positions at Quince and Cotogna. Chef Casey worked as a Sous Chef at Cotogna and Quince, as well. 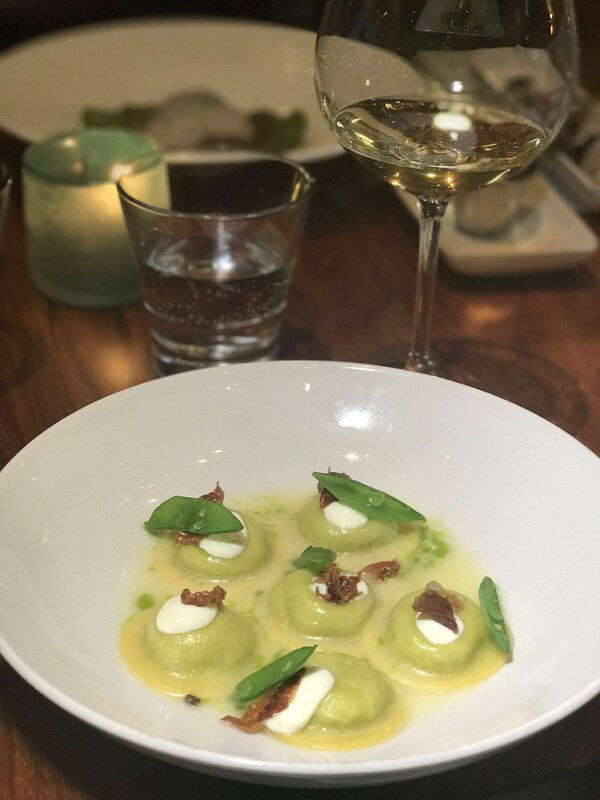 Having recently experienced Chef Patrick’s culinary expertise at a Food & Wine pairing dinner held at Lambert Bridge Winery, I was blown away by the flavors, unique recipes, and, for such an accomplished young Chef, his humble personality. 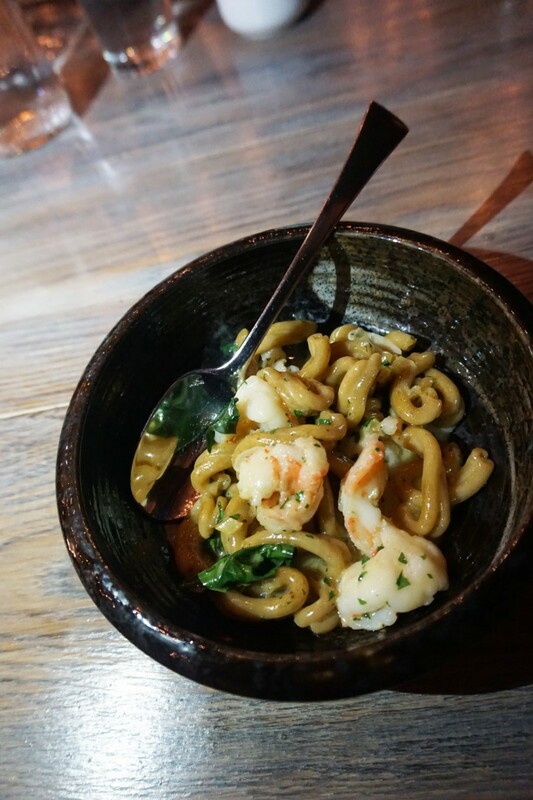 Spoonbar is a Healdsburg gem you must experience. 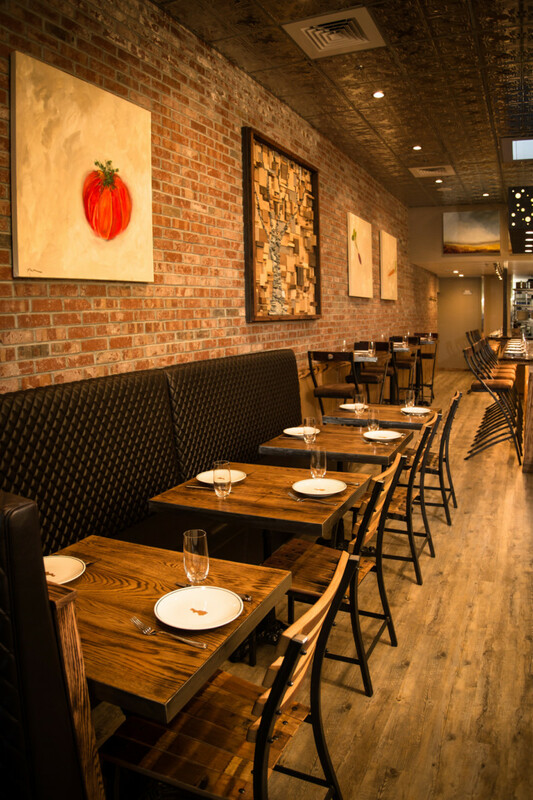 Not only is their food incredible, but it has a lively scene, great service, and a great bar scene. 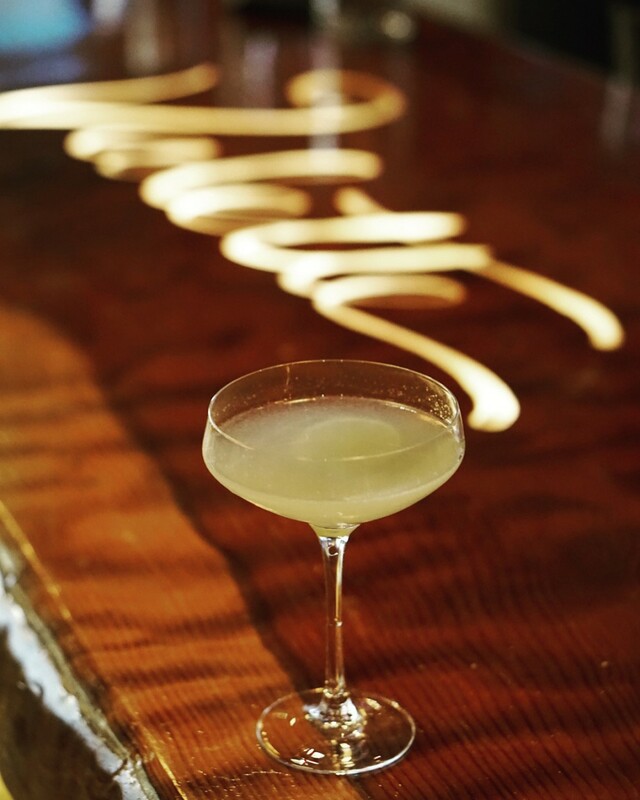 Be sure to enjoy a cocktail before or after your meal. 219 Healdsburg Avenue, Healdsburg CA. 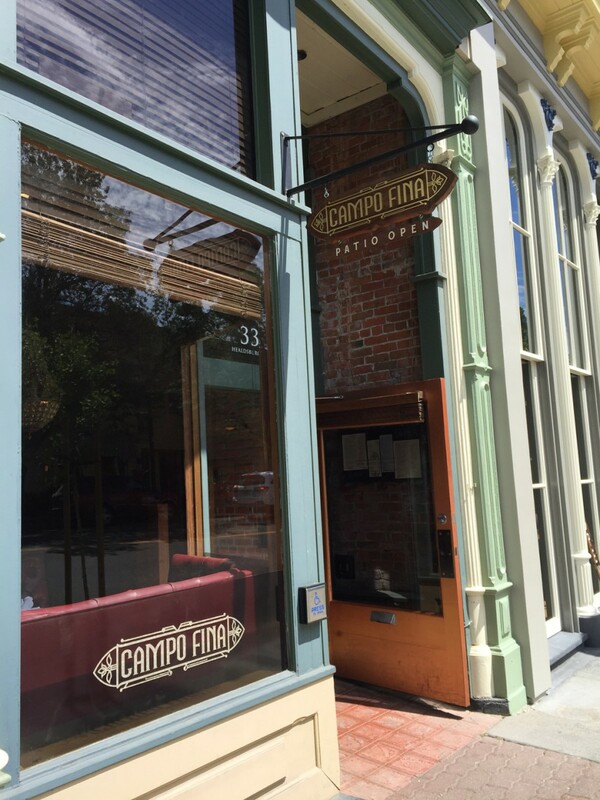 With amazing pizza, great pasta, and a fabulous interior and exterior dining room setting, Campo Fina is another Healdsburg staple. 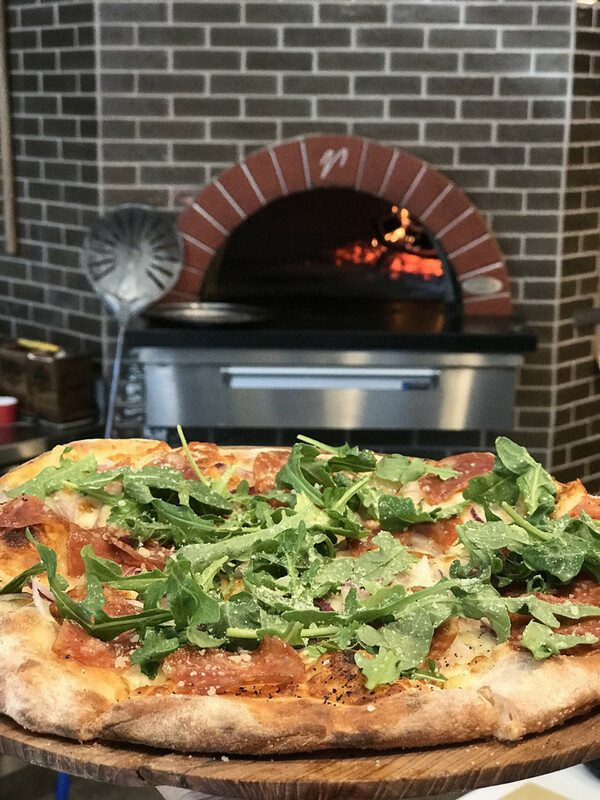 I have been numerous times (mostly for Banshees Wines pick up parties, read more about the amazing Banshee Wine Tasting Room here), and the pizza is always great, I have a blast playing Bocce on their court in the back patio and the staff is super friendly. 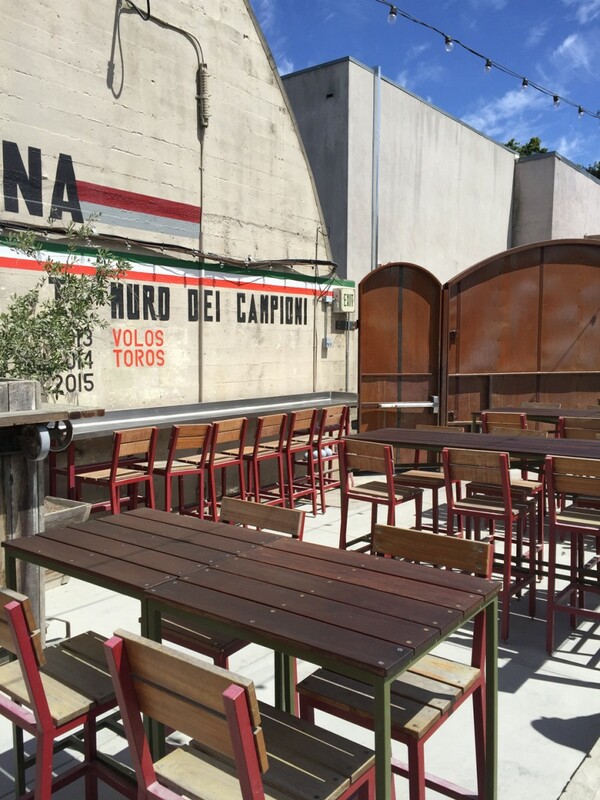 330 Healdsburg Ave, Healdsburg, CA 95448. 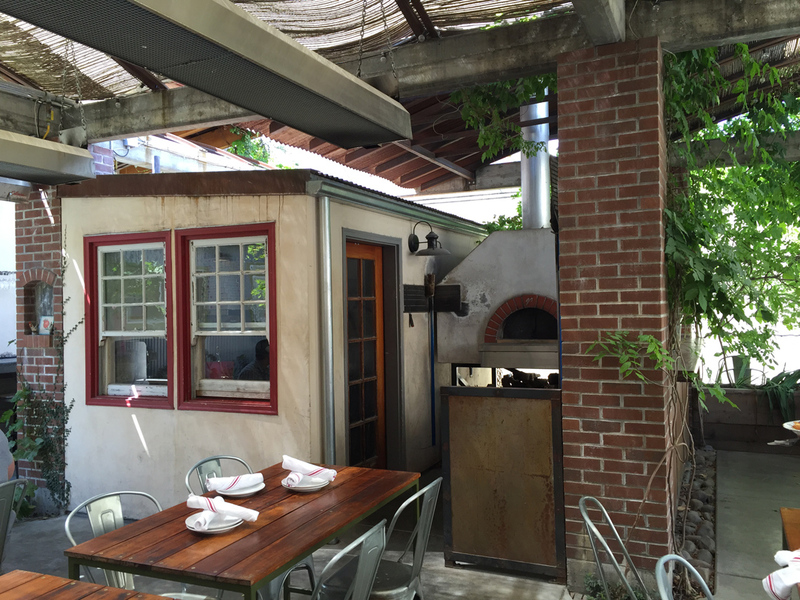 The Shed is best described as a heaven for culinary, home, garden, and wine lovers. 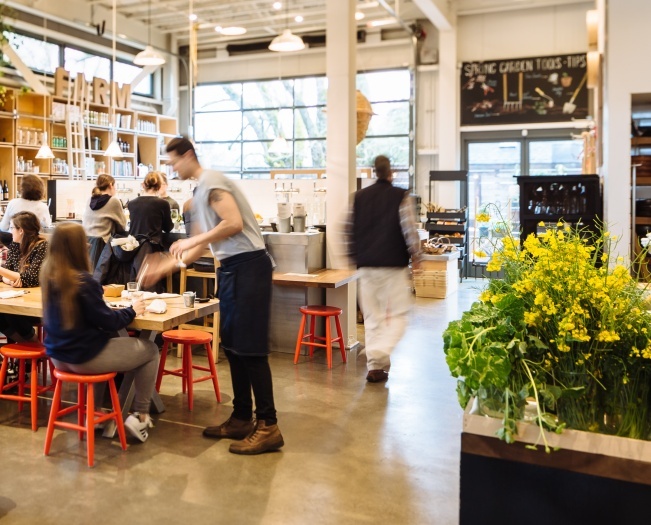 It is not only a great destination to grab a bite, it is also a shopping destination for produce, food, wine, books, cooking, home, and garden decor. 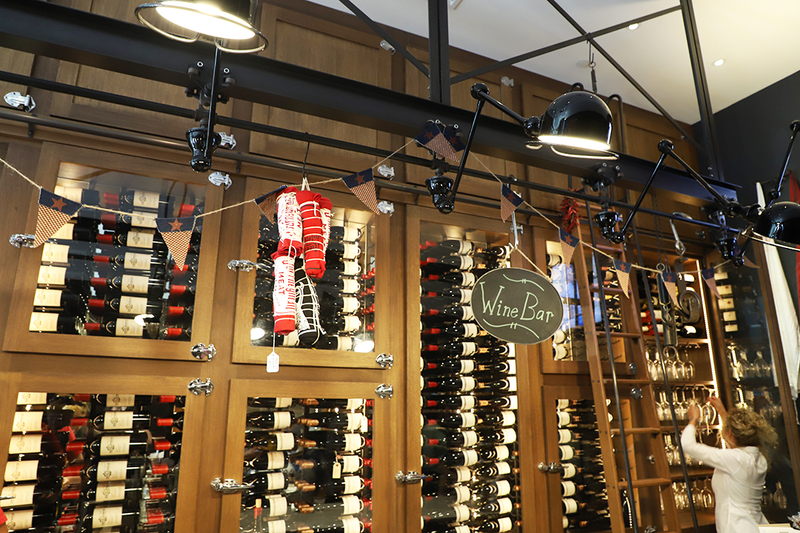 The Shed offers a curated assortment of food, wine, and shopping as well as a seated cafe, restaurant, and coffee bar. I have also determined that they have the most delicious Almond Milk Latte I have ever had the pleasure of drinking. I learned they make the vanilla syrup fresh daily and it is divine, so creamy and rich while not being totally over-powering in that fake vanilla syrup way you taste at the larger coffee chains. 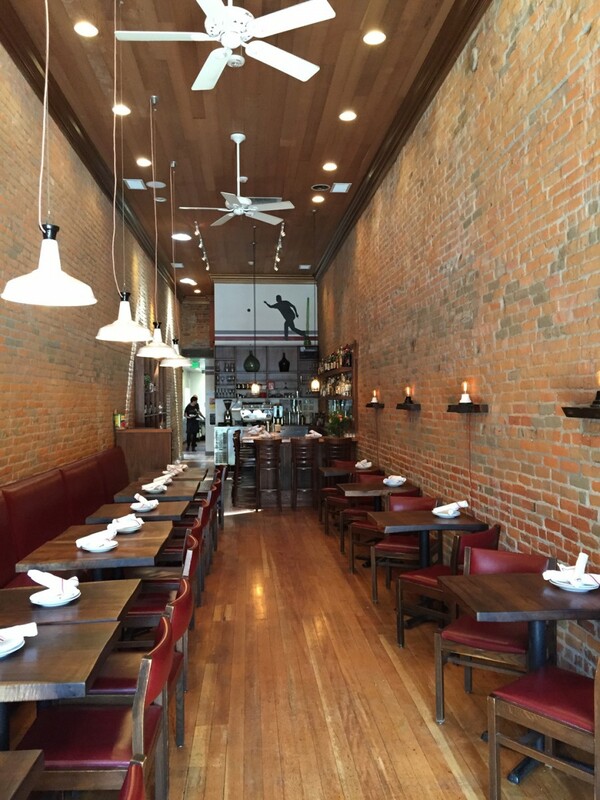 25 North St, Healdsburg, CA 95448. 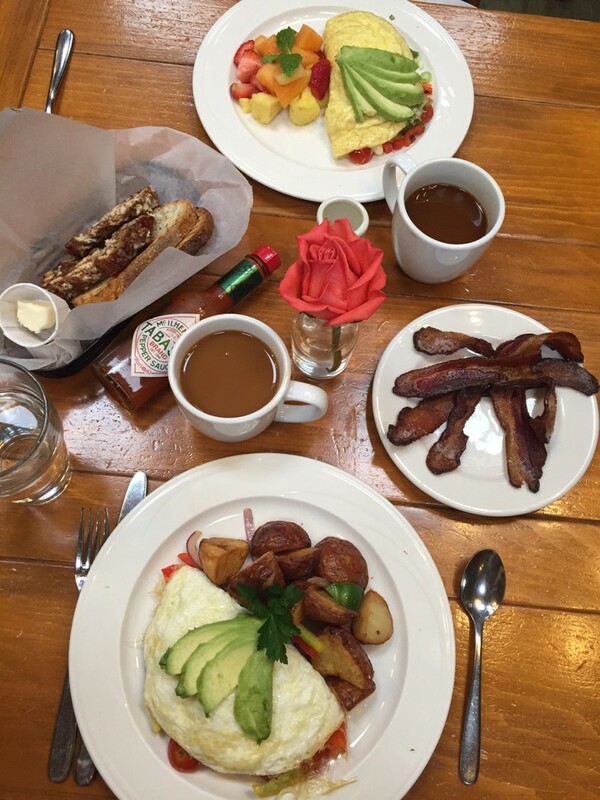 Although The Parish Cafe does not serve dinner, both their brunch and lunch are incredible and worth visiting to experience. 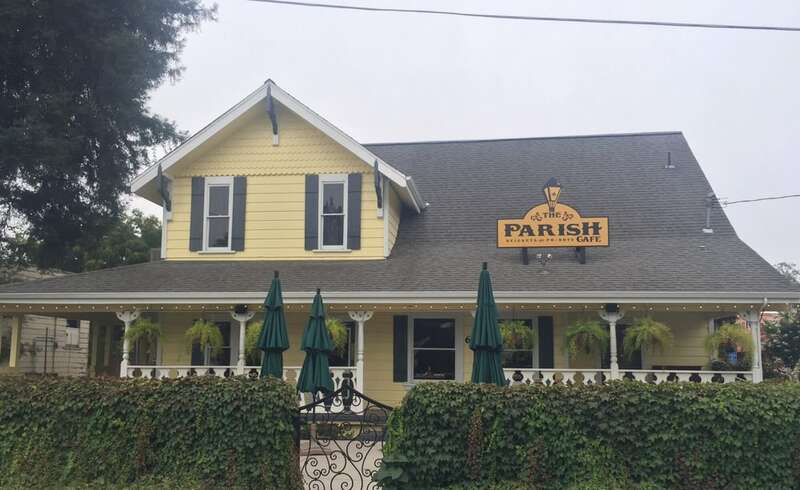 I had heard about Parish Cafe many, many times from locals and finally got to experience it and loved it. 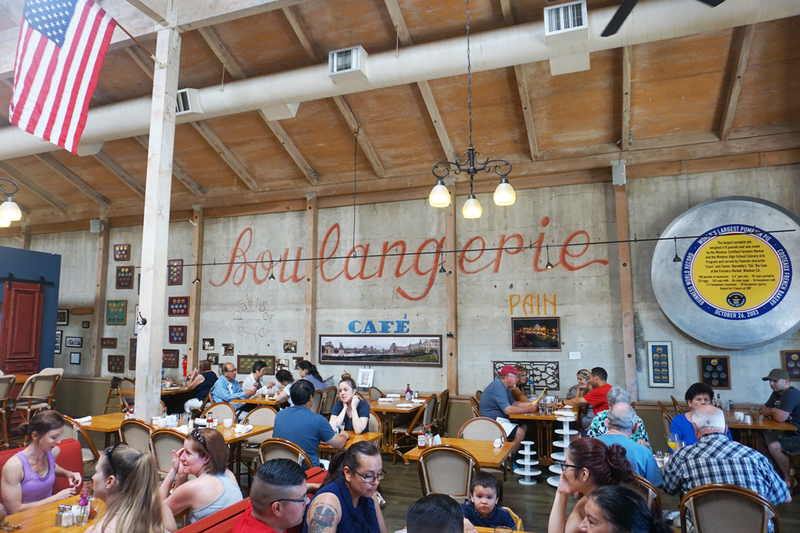 It has a casual local feel to it with amazing southern food such as Shrimp and Grits, Biscuits… I love the laid back setting with picnic tables outside where guests can casually dine and enjoy the Healdsburg scene. 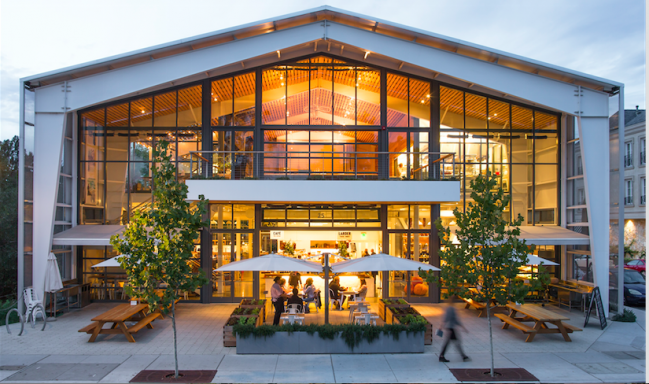 60 Mill St, Healdsburg, CA 95448.